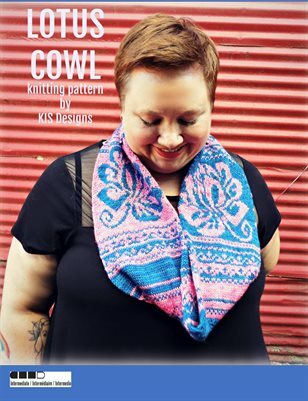 Bright and cheery, the Lotus Cowl features colorwork as well as lace (just to keep things extra interesting)! Knit in the round in one piece and then grafted together to complete the cowl, this project offers an excellent opportunity to play with color as well as explore new knitting techniques! FINISHED MEASUREMENTS: 7.5 inches wide X 48” around.